PHOENIX, Arizona — Tesla Motors is famous for the “Ludicrous Mode” offered on its top-spec Model S sedans, a performance enhancing bit of software that allows the car to accelerate with face-crushing force, a fact well-documented all over YouTube. 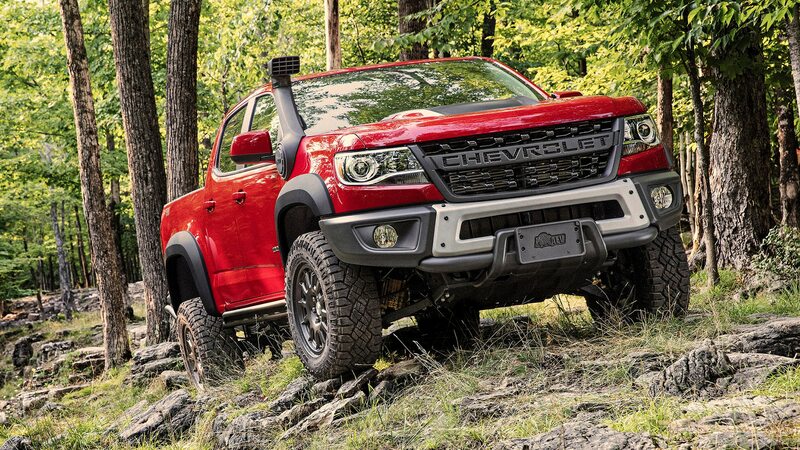 The new Bison version of the Chevy Colorado ZR2 mid-size pickup truck is the off-road equivalent of Ludicrous Mode. The Bison won’t smash your face, but it will smash a smile onto it. 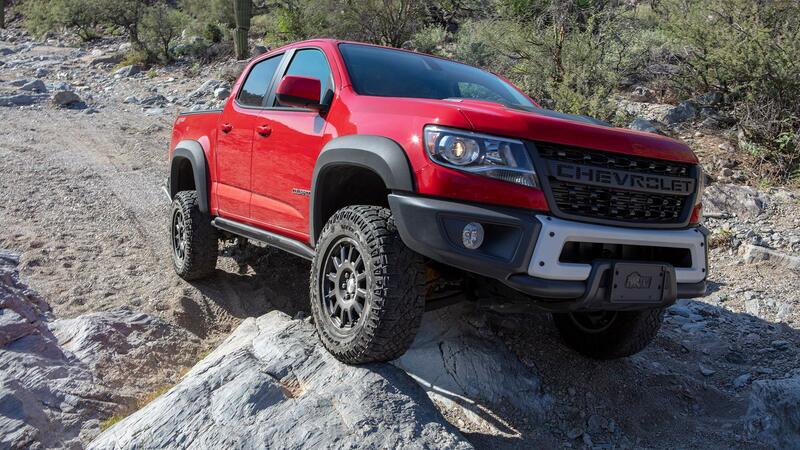 The standard ZR2 is already a massively capable truck, an upgrade from the already competent base Colorado. You want to pick up the kids from school, hit a few jumps, visit a remote hiking trail, then grab some groceries on the way home? 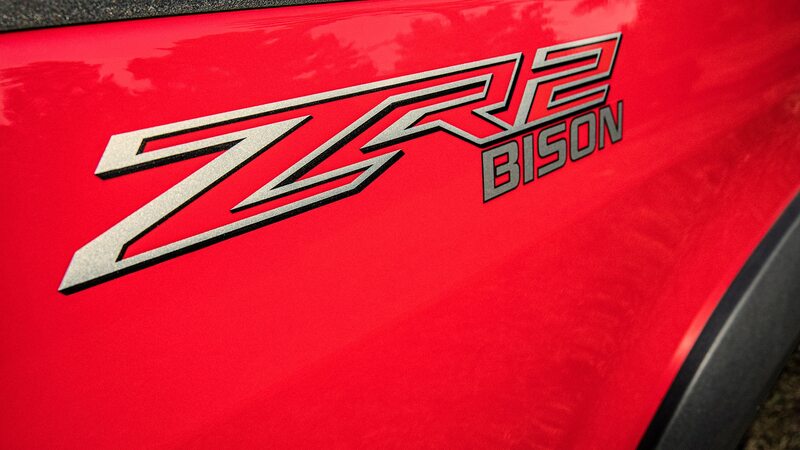 The ZR2 is your right-sized go-to. If, however, you’d like to add some truly treacherous rock gardens to your daily adventure, then you’ll want to check out the Bison. 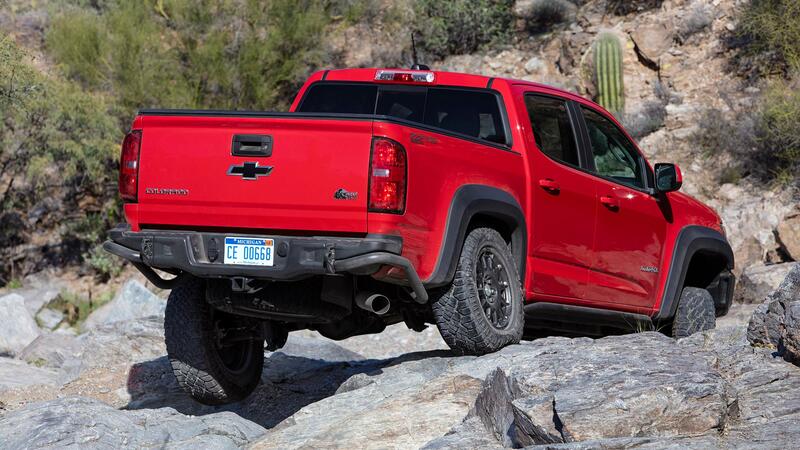 Upgraded beyond ZR2 spec with an array of rock sliders, skid plates, and crawling-oriented damper tuning, the ZR2 Bison is the hardest-core among the Colorado brotherhood. 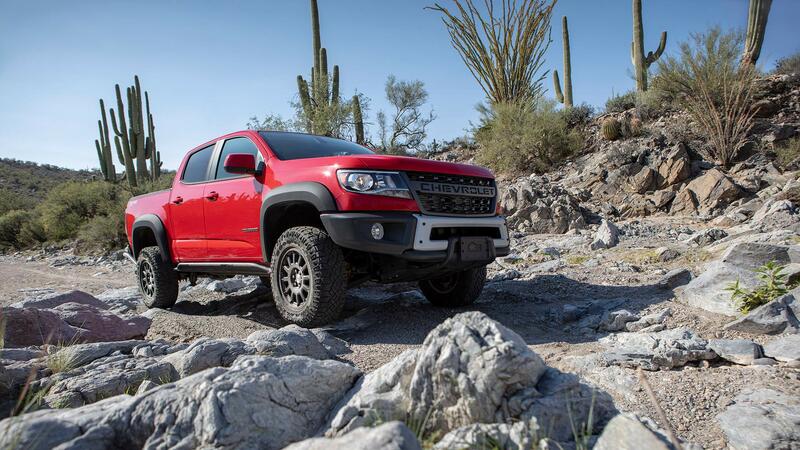 Built in collaboration with overlanding specialists American Expedition Vehicles, the ZR2 Bison gets a range of upgrades that not only expand the Colorado’s capability but also its durability in hellacious off-road environments. 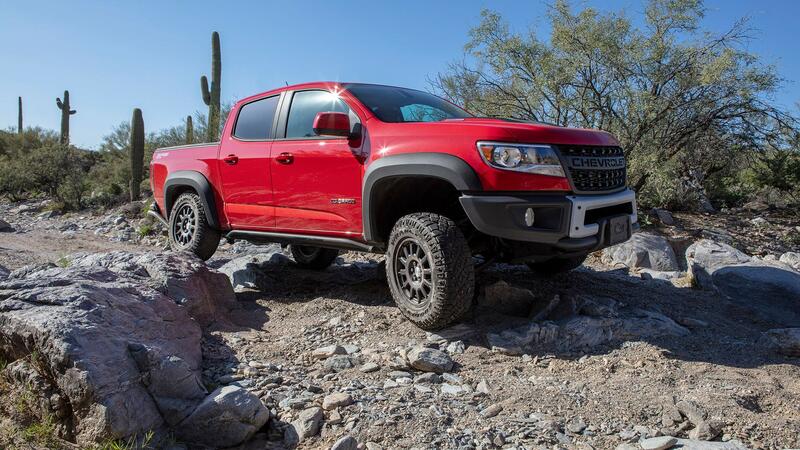 Upgrades beyond the ZR2’s already impressive equipment list include rocker slider bars, boron-steel skid plates, cast-iron control arms, an Autotrac transfer case, and electronically locking front and rear differentials. 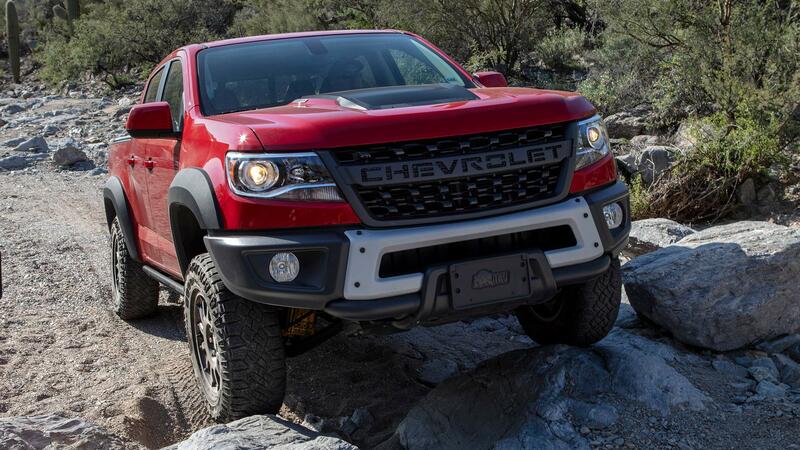 There’s also a modified 3.42:1 axle ratio, 3.5-inch wider front and rear tracks, and a total suspension lift of about two inches compared to a Colorado with the Z71 off-road package. 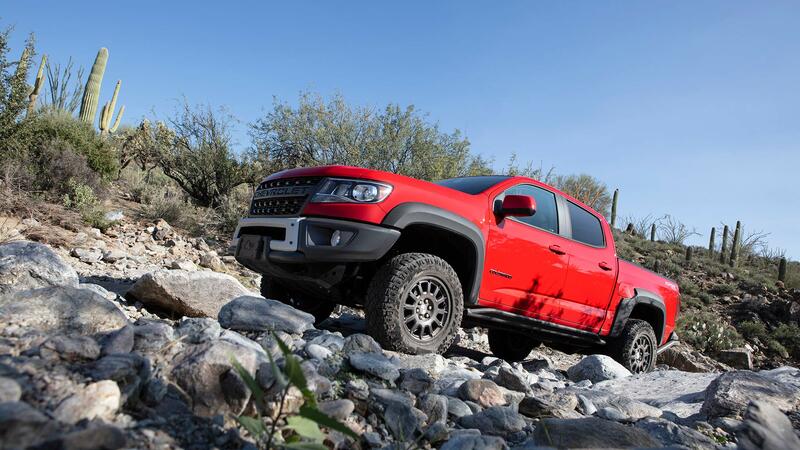 Engine options for the Bison are the same as any other Colorado: a 3.6-liter gasoline V-6 rated at 308 horsepower and 275 lb-ft of torque or a 2.8-liter four-cylinder diesel good for 184 hp and 369 lb-ft of torque. The primary difference between the two engines is where the horses live; the gas engine makes peak horsepower at 6,800 rpm while the diesel makes its max available from 3,400 rpm. The theme continues in the torque department, with the gas peak arriving at 4,000 rpm and the diesel at 2,000. 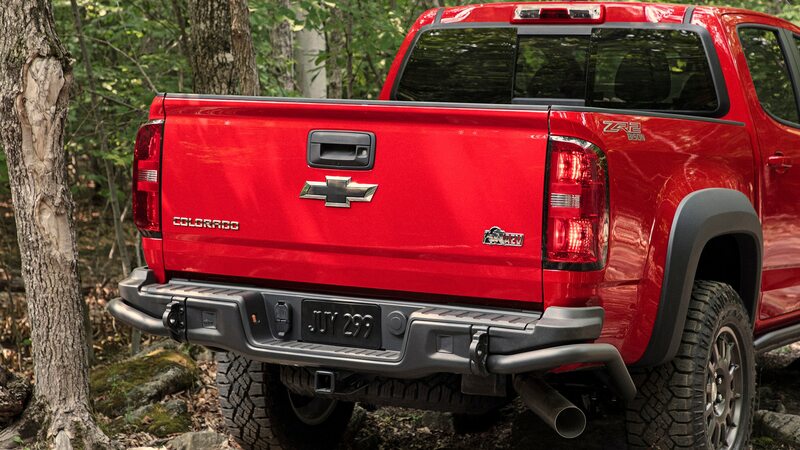 There are a few exterior cues to clue you in to the fact that you’re looking at a Bison rather than a standard ZR2 as well. 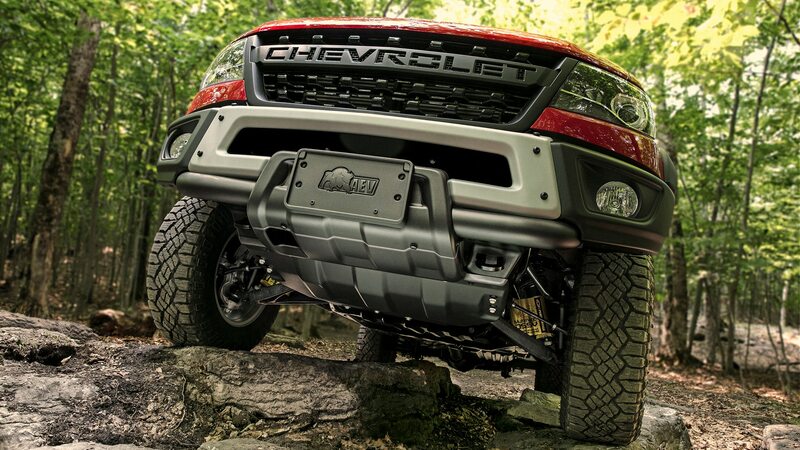 There’s a new flow-through CHEVROLET-lettered grille, fatter fender flares, AEV-designed steel front and rear bumpers (with winch provisions up front and integrated A356-T6 cast-aluminum recovery points and tubular, chassis-mounted corner protection out back), and 31-inch Goodyear Wrangler Duratrac off-road tires on 17×8-inch wheels designed by AEV specifically for the Bison. 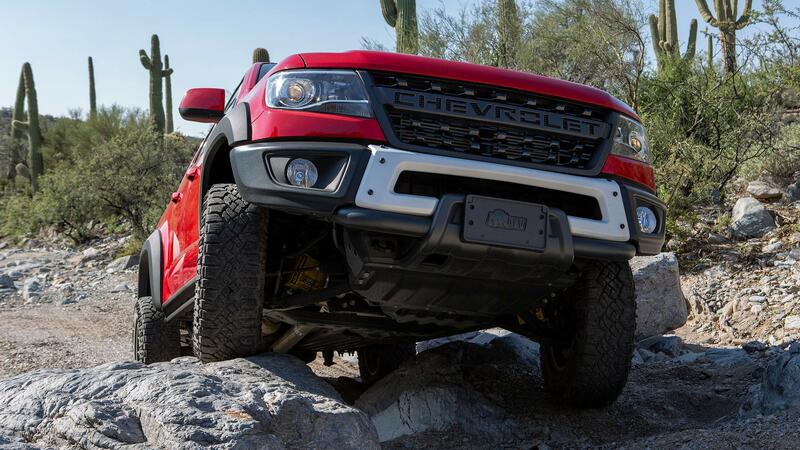 Ordering the optional snorkel air intake saves you the stress of taking a huge hole saw to the front fender of your brand-new truck. AEV branding inside and out includes embroidered logos on the seat headrests. If that sounds like a lot, that’s because it is. 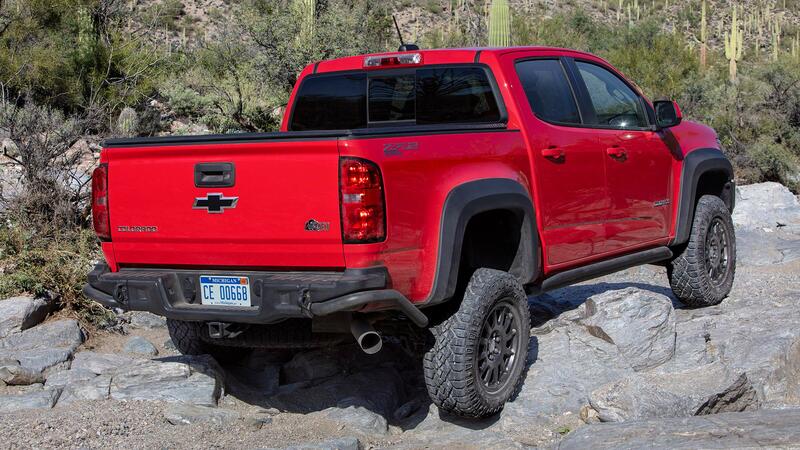 The package thus comes at a price that reflects the bounty of rock-bouncing booty: $48,045, a premium of about $4,500 over the standard ZR2. 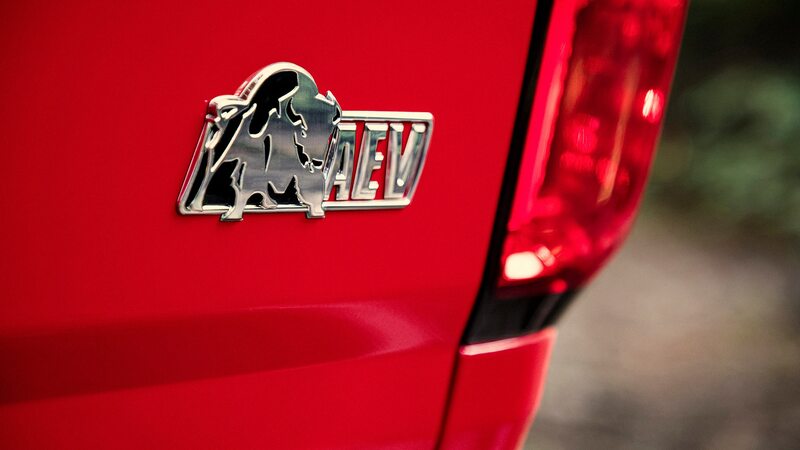 Opt for a crew cab and the Bison’s sticker ratchets up to $49,645. 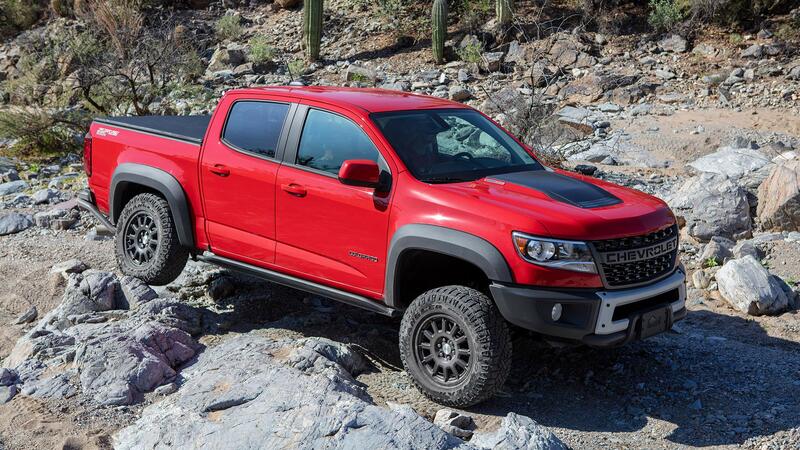 Does the little-truck-that-could justify its big-truck price tag? 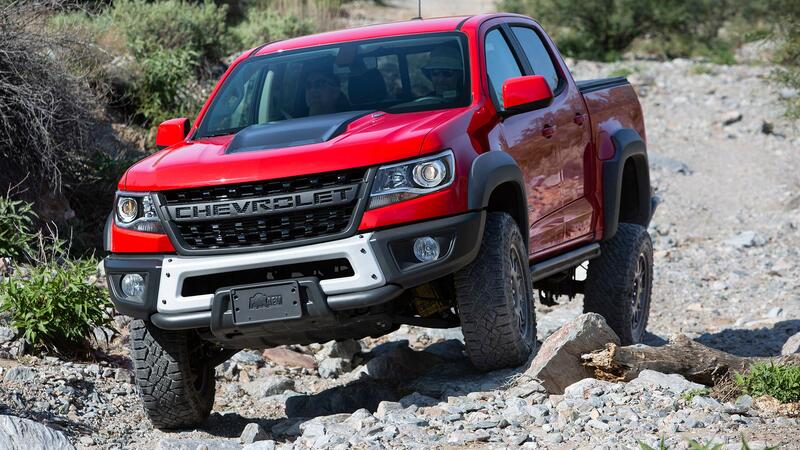 Yes, it does—in part because in order to get a full-size truck equipped to this level of ability, you’ll likely be spending toward the far side of $75,000 without the luxury of a factory warranty covering the aftermarket off-road gear. That’s right, the Bison’s upgrades are all covered by the standard warranty. 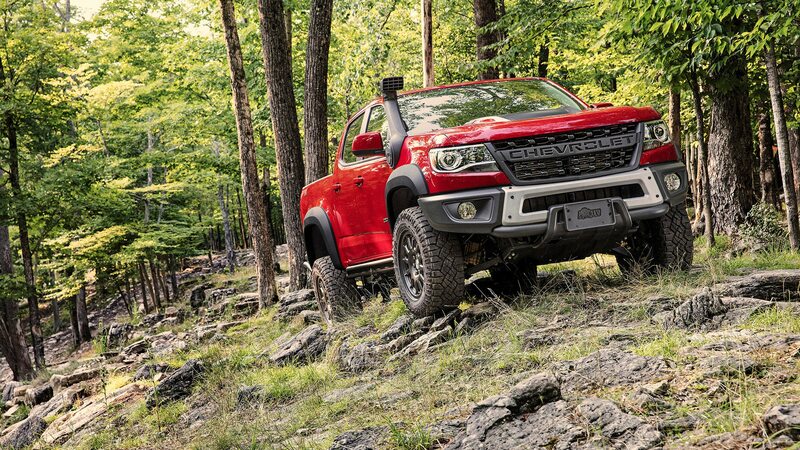 Being built on the Colorado platform, your shiny new go-anywhere ZR2 Bison has a significant advantage over the full-size field: It’s not nearly as wide or as long. The Bison’s prodigious capabilities mean it can go anywhere a full-size truck can go, and its smaller size means it can go many places those full-sizers can’t. mall crawlers, the ZR2 Bison actually encourages hard use. Sure, it’ll get you to work and the kids to karate practice and the dogs to the groomers just fine, but come the weekend, it’ll be whining and scraping at the garage door, begging to be let out to play. And play you will. Those head-sized rocks over there? A tasty hors d’oeuvre. Beyond them, that snaking, tire-blackened path over what looks like dog-sized chunks of a volcano’s final, fitful burst of creativity? The main course. 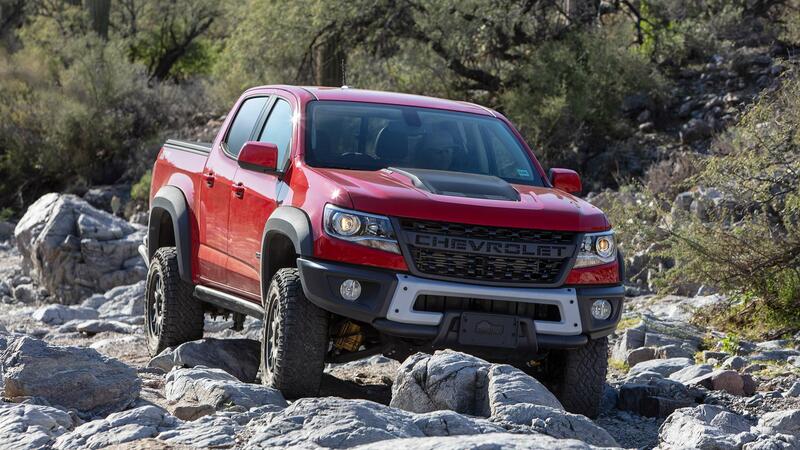 And unlike the standard ZR2, which would happily traverse most of the same paths as the Bison, you won’t have to worry about ventilating the oil pan or protecting other sensitive underbelly parts thanks to those boron-steel skid plates and rocker bars. A spotter is a must-have for serious off-road terrain, especially if you’d like to make it through with the vehicle mostly intact; the Bison’s impressive armor won’t protect you from sliding sideways in a V-shaped chute and crunching your door skin against the rocks. Fortunately, our test drive in a boulder-strewn desert wash outside Phoenix included keen-eyed folks who helped us find the line through a course that would have cowed many Tacoma and Wrangler drivers. Hood pointed toward the sky, balanced on two kitty-corner wheels, engine loping at a low idle with the transfer case in 4L, those hand signals directing your steering angle and throttle usage are lifesavers—or at least paint-savers. 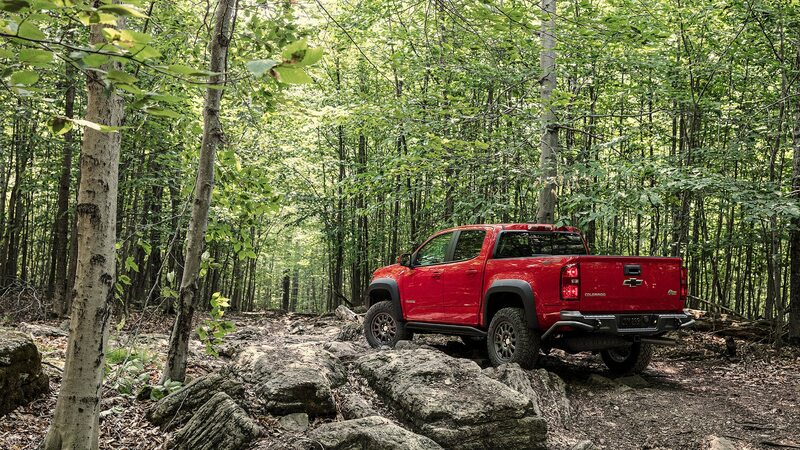 “Leave no trace” is a motto for humans using the trails; the trails have no such compunction about leaving their traces on your shiny new truck. 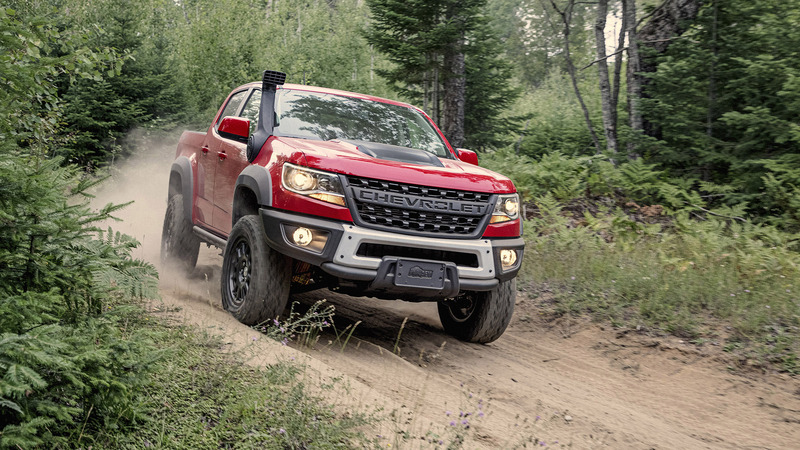 Fortunately, the Bison is as easy to drive as you’d expect of a Chevy truck, and it makes easy work of the roughest paths, even without flipping the switches on the electronically actuated front and rear locking diffs—though those do make slick or especially steep sections easier. 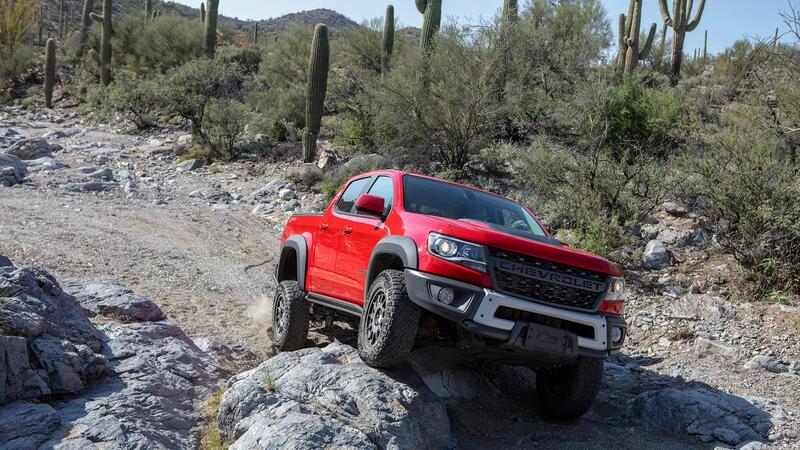 Straight out of the box, the Colorado ZR2 Bison is an amazing overlanding truck, missing only a rooftop tent on a bed-mounted rack or topper, some solar panels and batteries, a camp stove, and a portable refrigerator. 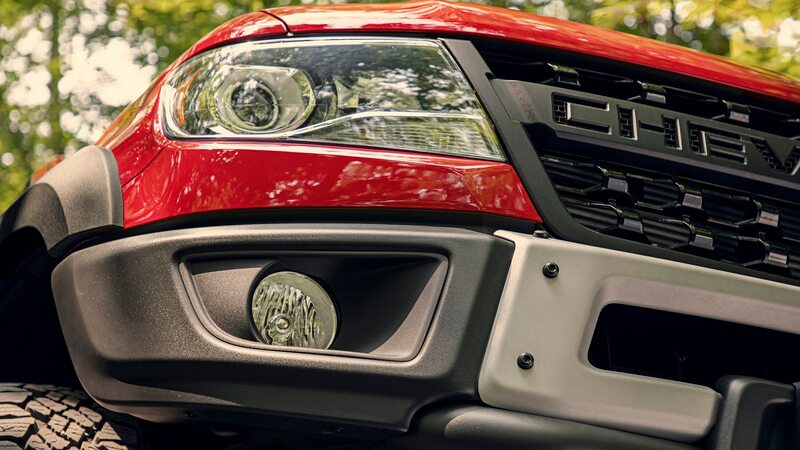 With those upgrades, the Bison would be ready to point its big, black grille toward the Great Wide Open and see how ludicrously long you could go without seeing another human face. The only question at that point would be whether you’re ready, too.